We ran 6 events during autumn 2018 and have now analysed the attendee data. 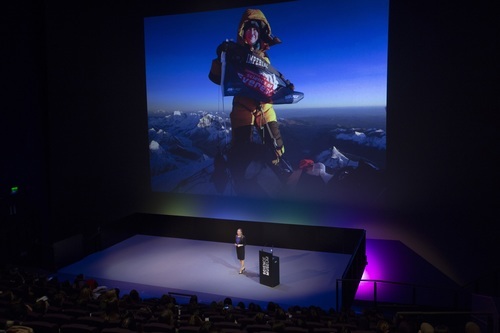 Our autumn STEM Women events attracted 1,065 attendees, with an average turnout of 145 at a regional event and 243 at a London event. Our 2019 autumn events will be held in larger venues so that we can accommodate more attendees. We expect the graduation year and course splits are likely to be similar. 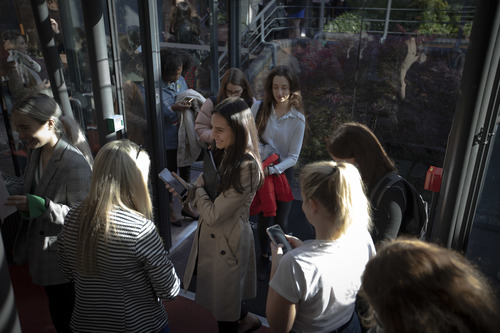 The autumn 2018 events were marketed primarily at final and penultimate year students. We asked the companies who were exhibiting at our events which degree subjects they were keen to target, and this influenced our event marketing efforts. 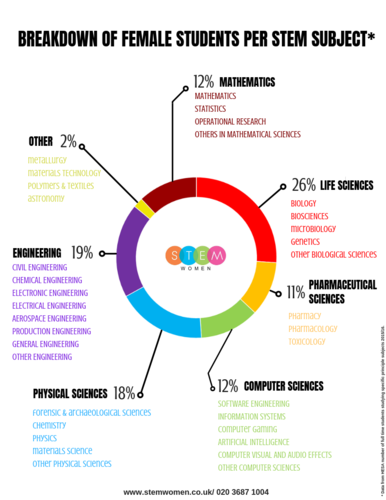 Companies told us that they wanted to see computer science and engineering students at every event, along with a mixture of other STEM subjects (including earth science, physics, mathematics and a few specialist courses). The subjects that we targeted had a far smaller proportion of females than the overall average across all STEM disciplines. The graphs below show overall STEM students against the split of students that attended our events. You can see that 19% of all female STEM students are engineers, but 28% of attendees at our events are engineers. 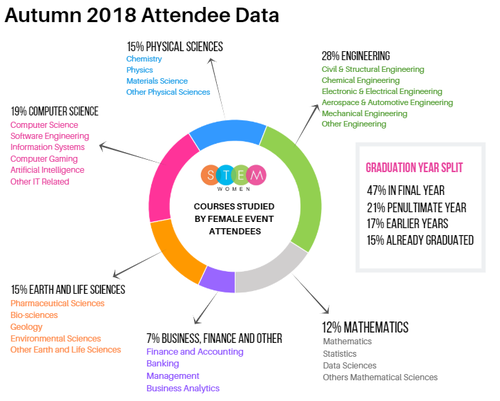 Computer Science was also overrepresented at our events (12% overall, 19% of our event attendees) whereas life and pharmaceutical sciences were underrepresented at our events (37% overall, 15% at our events). It is also worth noting that a further 635 students asked for their information to be passed onto employers but couldn’t attend on the day. This meant that employers who had purchased a data, speaker or sponsor package at all our autumn events received the name, course and contact details for 1,700 students in total. You can view all of our upcoming events here.